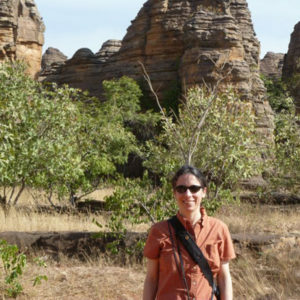 A specialist of arts of West Africa, Susan Elizabeth Gagliardi has completed more than twenty-two months of fieldwork in Burkina Faso. She has also traveled to Côte d’Ivoire, Ghana, and Mali. Gagliardi conceived Mapping Senufo while examining photographs in the archives of the Musée du quai Branly in Paris in April 2013. At the time, she was preparing to write Senufo Unbound: Dynamics of Art and Identity in West Africa, published in 2015 by the Cleveland Museum of Art (CMA) and 5 Continents Editions to accompany the CMA’s exhibition Senufo: Art and Identity in West Africa. When Gagliardi joined the Emory University faculty in August 2013, she launched Mapping Senufo with support from the Emory Center for Digital Scholarship. The project has led her to participate in the 2014 Summer Institute on Digital Mapping and Art History funded by the Samuel H. Kress Foundation and the 2018 From Prototype to Published KairosCamp funded by the National Endowment for the Humanities. 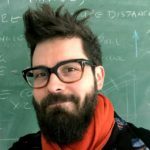 Constantine Petridis joined the Mapping Senufo project in April 2015 after curating the Cleveland Museum of Art’s exhibition Senufo: Art and Identity in West Africa. Arts identified as Senufo have long captured his attention. A specialist of the sculpture of Central Africa, he received his PhD in African art history from the Universiteit Gent in Belgium, where Belgian art historian Albert Maesen completed his 1946 dissertation based on path-breaking field research in Senufo communities of northern Côte d’Ivoire in 1939. Petridis has traveled to and initiated research projects in Burkina Faso and Ghana, and he has also visited Côte d’Ivoire and Mali. In November 2016, Petridis became Curator of African Art and Chair of African Art and Indian Art of the Americas at the Art Institute of Chicago, one of the three venues for the now-defunct Museum of Primitive Art’s 1963 exhibition Senufo Sculpture from West Africa. Jennifer Doty provides data management services to Emory University researchers as the Research Data Librarian in the Robert W. Woodruff Library. She has more than twelve years of experience supporting data-intensive research at higher education institutions in the US and the UK, including several projects in the humanities and social sciences. Anandi Silva Knuppel received her PhD in the Graduate Division of Religion at Emory University, where she focused on themes of lived religion, multisensory ethnography, and religious practices in transnational Hindu traditions. Anandi partners with faculty, librarians, students, and staff in the creation of digital projects supporting research, pedagogy, and publishing. She also manages the Digital Scholarship Internship Program (DSIP) that provides internship opportunities to graduate students and undergraduates. 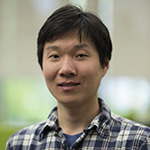 As a software engineer, Yang seeks opportunities to apply innovative media and computer technologies to the preservation and promotion of digital scholarship. 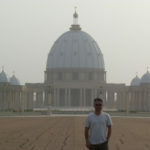 He works with the project team in the design, development, and revision of new and existing digital media projects. As a designer, he formulates information architecture, creates wireframes, mockups, and prototypes. He also experiments with new technologies, work processes, and management patterns that can be integrated into existing software development models. Sarah McKee is the senior associate director for publishing at the Bill and Carol Fox Center for Humanistic Inquiry. 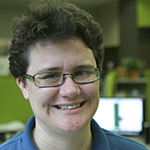 Prior to her arrival at Emory in 2017, she worked for fifteen years at the University of Georgia Press, serving most recently as managing editor of the New Georgia Encyclopedia, an open access digital humanities reference work. 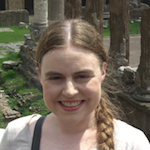 Joanna Mundy earned her PhD in Roman art history and archaeology from Emory University in December 2018. As Digital Projects Specialist, she assists researchers with projects using mySQL databases, contributing to the design of databases to interact with geospatial data and network data as well as to work with network analysis software. Michael Page advised geospatial development of Mapping Senufo during its inception at Emory University in 2013. He also created maps for the exhibition “Senufo: Art and Identity in West Africa” and accompanying publication. 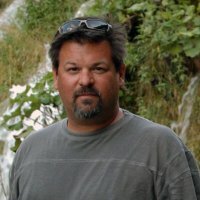 He has contributed to the design of many digital projects in the humanities, including Atlanta Explorer and the American Expedition at Samothrace, Greece. 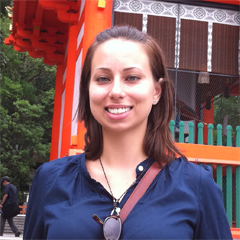 Sara Palmer received an MA in Film and Media Studies from Emory University in 2012. 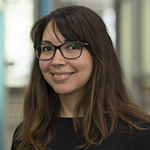 At the Emory Center for Digital Scholarship, she consults with researchers on creating online exhibits, designing databases, generating network visualizations, and performing textual markup and analysis. Christopher Sawula received his PhD in History from Emory University in 2014. He has five years of experience supporting digital mapping projects in the humanities, including the Battle of Atlanta and Likenesses Within the Reach of All. As the Visual Resources Librarian in Emory’s Department of Art History, he assists faculty with data preservation, digital exhibitions, and projects focused on spatial art history. 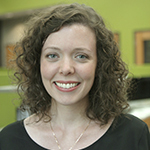 Megan Slemons received an MS in Library Science from the University of North Carolina at Chapel Hill in 2013. At the Emory Center for Digital Scholarship, she consults with researchers on using geospatial tools, finding and using data, and designing projects with spatial components. Mark Addison Smith holds a Bachelor of Fine Arts from Georgia State University and a Master of Fine Arts from the School of the Art Institute of Chicago (SAIC). With his on-going, text-based archive, You Look Like The Right Type, Mark has been drawing snippets of overheard conversations every day since 2008. His work appears in permanent collections including the Brooklyn Museum Artists’ Books Collection, Center for Book Arts, Joan Flasch Artists’ Book Collection, Kinsey Institute, Leslie-Lohman Museum of Gay and Lesbian Art, MoMA Franklin Furnace, Smithsonian American Art and National Portrait Gallery Artists’ Book Collection, Tate Library, and Watson Library at The Met. Erin Hecht designs scholarly websites as a consultant to the Emory Center for Digital Scholarship. She designed the test site for Mapping Senufo during the spring of 2015 and the revised site in 2016. A long-term collaborative project benefits from an ever-expanding list of colleagues and institutions. Special thanks to the Emory Center for Digital Scholarship and the Emory College Digital Publishing in the Humanities initiative based at the Fox Center for Humanistic Inquiry as well as to the Andrew W. Mellon Foundation, the National Endowment for the Humanities, and the Samuel H. Kress Foundation. Additional thanks to the Emory College Program to Enhance Research and Scholarship (PERS) and the Emory University Research Committee (URC). For access to important archival material, we thank many individuals and institutions, including the Archives nationales d’outre-mer in Aix-en-Provence, France; médiathèque André Malraux in Strasbourg, France; Metropolitan Museum of Art in New York, USA; Musée africain in Lyon, France; Musée des civilisations de Côte d’Ivoire in Abidjan, Côte d’Ivoire; Musée du quai Branly in Paris, France; Société des missions africaines in Strasbourg, France; and Société des missions africaines in Rome, Italy. And thanks, too, to the many people who have provided feedback, shared insights, or supplied other critical information, including participants at the Kress Summer Institute on Digital Mapping and Art History at Middlebury College in August 2014 and at the From Prototype to Published KairosCamp, an Institute for Advanced Topics in the Digital Humanities funded by the National Endowment for the Humanities and hosted by the Digital Publishing Institute at West Virginia University in June 2018. We also extend big thanks to Cheryl Ball, Nicholas Bauch, Ken Cohen, Herbert Cole, Nicole Coleman, Michael Elliott, Till Förster, Ann Gagliardi, Marcia Gagliardi, Anita Glaze, Manuela Husemann, S. Wright Kennedy, Melanie T. Kowalski, Emily McGinn, Sheila Rabun, Gwendolynne Reid, John Russell, Erik Steiner, Janet Stephens, Daniel Thompson, and Gabriel Wolfenstein.